As a big fan of Lovecraft, I must thank you for posting on A. Merritt, whose prose seems to be in the same vein. I found it rather amusing that I could envision his book titles as the titles of heavy metal songs, as well! I recommend his novel 'Burn, Witch, Burn'. 30s style mobsters vs. a Witch. Need I say more? 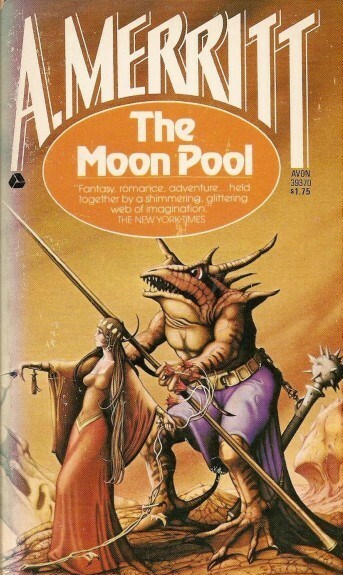 This is the copy of The Moon Pool I have. Have had it for over ten years but never gotten around to reading it. These covers are all cool! That frog monster dude looks like his been pumping some iron too. Quite the physique! Have you read any Merritt yet? Wagner and Bloch both loved BURN, WITCH, BURN. Merritt was one of the few authors that HPL, CAS and Robert E. Howard all admired. Deuce, I have not read any Merritt... perhaps a story here or there when I was a teenager first getting into those pulp writers, but that was long ago! 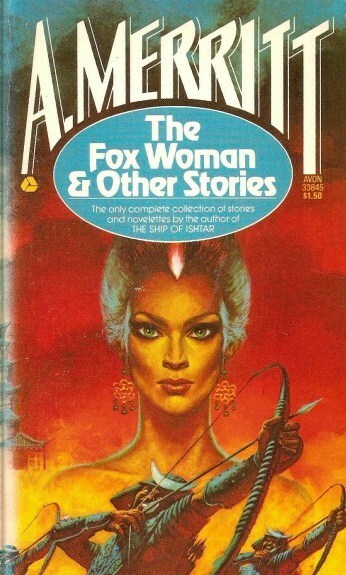 Adding BWB to my to-read list, thanks. Glad you like the blog!